A one-centimeter-square) biosensor chip developed at EPFL is implanted under your skin to continuously monitor concentrations of pH, temperature, and metabolism-related molecules like glucose, lactate and cholesterol, as well as some drugs. The chip would replace blood work, which may take hours — or even days — for analysis and is a limited snapshot of conditions at the moment the blood is drawn. 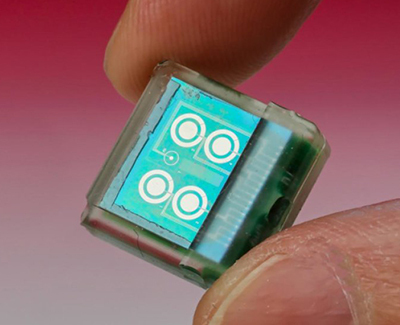 The biochip contains three main components: a circuit with six sensors, a control unit that analyses incoming signals, and a Bluetooth module for sending the results immediately to a mobile phone. It has an induction coil that wirelessly draws power from an external battery attached to the skin by a patch. The chip was successfully tested in vivo on mice at the Institute for Research in Biomedicine (IRB) in Bellinzona, where researchers were able to constantly monitor glucose and paracetamol levels without a wire tracker getting in the way of the animals’ daily activities. The results were promising, so clinical tests on humans could take place in three to five years — especially since the procedure is minimally invasive, the researchers say. By mounting a thin magnet to the wall the TV can be attached like a fridge magnet. To remove it you simply peel it off the wall. It also appears to be flexible making damaging it difficult and curving it easy. LG Display plans to keep pushing OLED and will introduce a 99-inch OLED screen this summer. In the villages of Kandal province, instead of bright, bouncing children, Dr Charles found many were small and weak with slow mental development. Women were suffering from tiredness and headaches, and were unable to work. Pregnant women faced serious health complications before and after childbirth, such as haemorrhaging. Anaemia is the most common nutritional problem in the world, mainly affecting women of child-bearing age, teenagers and young children. In developing countries, such as Cambodia, the condition is particularly widespread with almost 50% of women and children suffering from the condition, which is mainly caused by iron deficiency. The standard solution - iron supplements or tablets to increase iron intake - isn't working. The tablets are neither affordable nor widely available, and because of the side-effects people don't like taking them. Dr Charles had a novel idea. 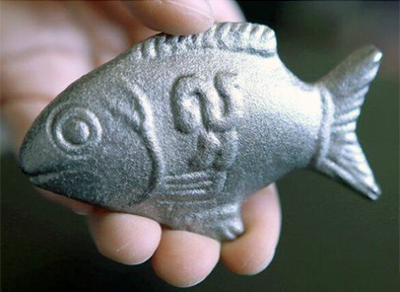 His invention, shaped like a fish, which is a symbol of luck in Cambodian culture, was designed to release iron at the right concentration to provide the nutrients that so many women and children in the country were lacking. The recipe is simple, Dr Charles says. "Boil up water or soup with the iron fish for at least 10 minutes, then take the fish out. Add a little lemon juice which is important for the absorption of the iron." If the iron fish is used every day in the correct way, Dr Charles says it should provide 75% of an adult's daily recommended intake of iron - and even more of a child's. The QromaScan uses 12 LEDs to illuminate its interior. To start scanning you open the dedicated app on your phone and put the device onto the box with the camera facing downward. When the photo is in position below it, the camera on your smartphone is used to capture the image, using voice recognition to avoid camera shake. Location and time can be added to the metadata of the resulting digital image using voice control. The same method can be used to tag people in an image, allowing for easy organisation of your pictures. Currently, this only works with iOS devices but an Android version is in the works as well. 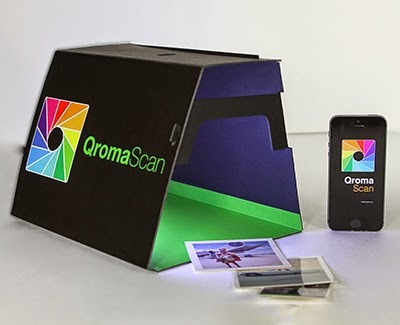 The makers of the QromaScan have launched a Kickstarter campaign to finance final development and mass production. Early birds can secure a QromaScan for $35 but a range of backing options are available. Shipping is expected for July 2015. 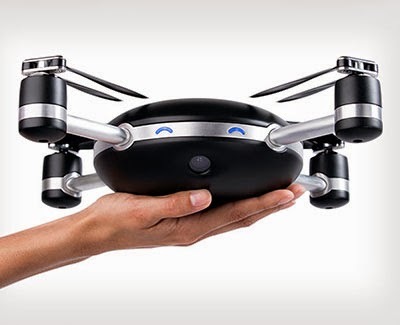 Lily lets anyone capture cinematic aerial photos and videos without needing to do any piloting. Using the Lily involves putting a tracking device on the subject you’d like Lily to follow, throwing the Lily into the air, after which Lily flies and shoots using GPS and computer vision to follow the tracking device at up to 25mph. The drone itself is waterproof and floats, allowing you to safely land it in water if needed. Size-wise, it easily fits in a backpack and weighs less than an average laptop. Onboard is a camera that can shoot 12 megapixel stills, 1080p HD video at 60fps, and 720p/120fps slow motion footage. The internal battery allows for 20 minutes of flight per charge. The Lily will start shipping in February 2016 for the price of $999, but the company is currently taking pre-orders through its website for $499. An easy-to-use phone camera App that allows you to captiure the perfect shot or special moment. You start and stop recording based on what you see in the delay screen – not the live screen. Wait to see the end of the action in the delay screen before hitting stop. Post your perfectly timed and edited video to your favourite social media site immediately after filming. No more having to edit something before you post or superfluous video footage taking up valuable phone memory. Molly Watt - who is deaf and blind - says the Apple Watch has transformed her ability to navigate around town by giving her directions through a series of vibrations on the wrist. "12 taps means turn right at the junction or three pairs of two taps means turn left," she wrote on her blog. "I'm still experimenting with this but so far very impressed". 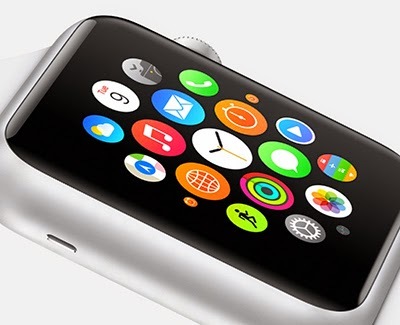 The Apple Watch's new feature is called the "taptic engine", which produces what Apple calls "haptic feedback". Haptics, derived from the Greek haptikos, refers to any form of interaction or communication by touch. The watch's engine allows wearers to set vibrations for various alerts and at adjustable intensity - or to send messages by taps to other users. Ms Watt says the integration of haptics with the watch's map function is "definitely awesome for me as a deafblind person". It allows her to be directed around London's complex web of streets and alleys without hearing or sight. Her review after five days of using the device is not entirely glowing - the audio could be louder, she says, and the price point more accessible. But "the positives far outweigh the negatives" overall. Elon Musk unveiled his 'Tesla Energy' scheme to electrify the world on Thursday night. Tesla, which is in the middle of building a vast 'Gigafactory' battery production plant in the Nevada desert, plans to offer versions of the batteries it puts in its Model S car to residential, commercial, and utility customers. 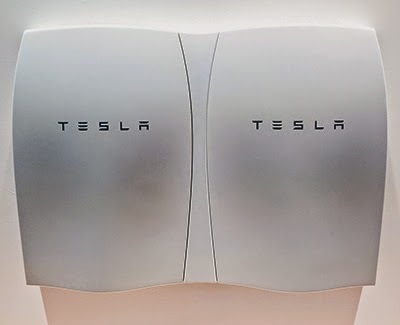 The 220-pound Powerwall will, as its name suggests, be mounted on a wall, and is made for home use. It’s just six inches deep, comes in different colors, has a 10-year warranty, and is available in two versions: a 10-kWh setup for $3,500, and a 7-kWh unit for $3,000. It’s Internet-connected and has an integrated DC inverter. It’s available for order now and will be installed by distributors. Tesla expects deliveries to start late this summer. There are plenty of advantages for consumers, Musk says. If the grid goes down, you can still have power. You can fill up the battery at night, when rate are lower. The typical household uses somewhere around 30kWH a day, says Stu Lipoff, an electronics industries consultant and IEEE fellow. So the Powerwall wouldn’t really be enough to keep your home going off-grid for long (depending on how much solar energy you’re putting in), but it’s a lot better than nothing.